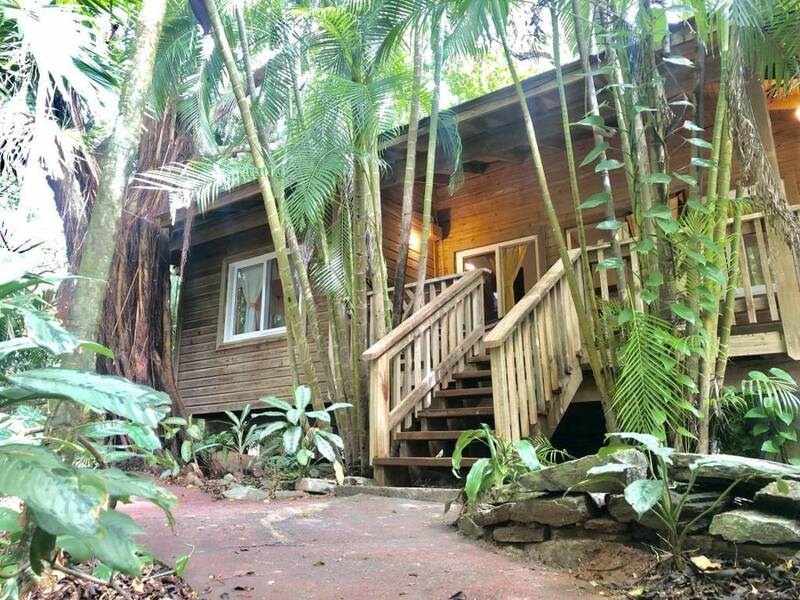 This two bedroom cabin is located in the back of our property, surrounded by jungle. We recently remodelated it and now has an amazing cozzy feeling. 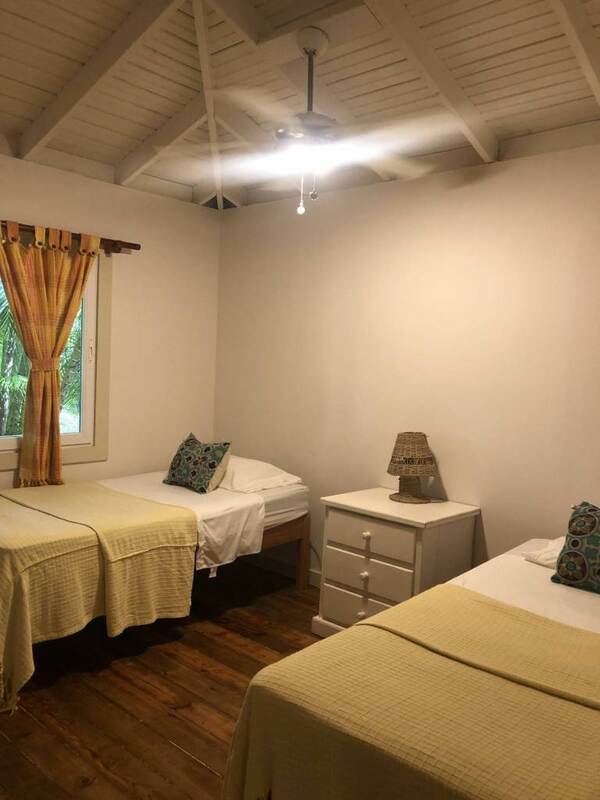 The cabin has 2 rooms, one of the rooms has a double bed, and the other one has two singles. By request, we can add two more single beds. 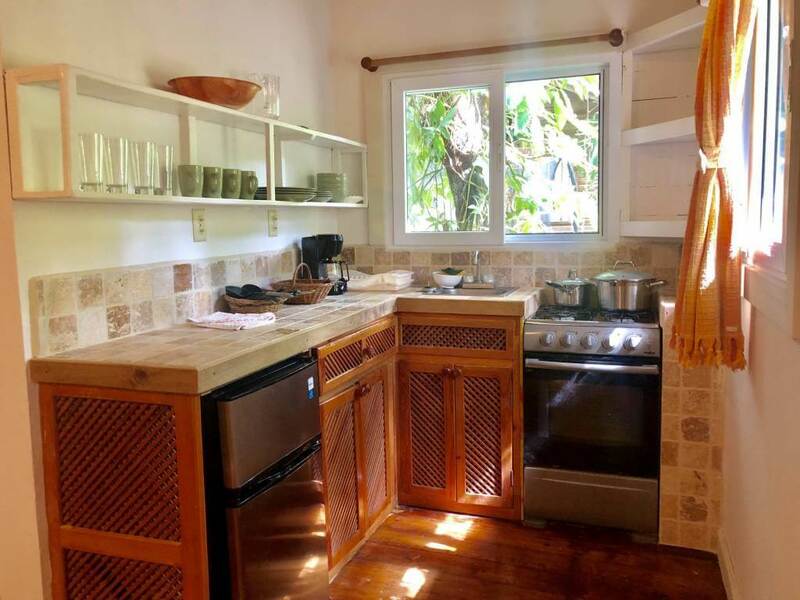 It has a kitchen that is in the same ambiance as the dining room area and a private bathroom. 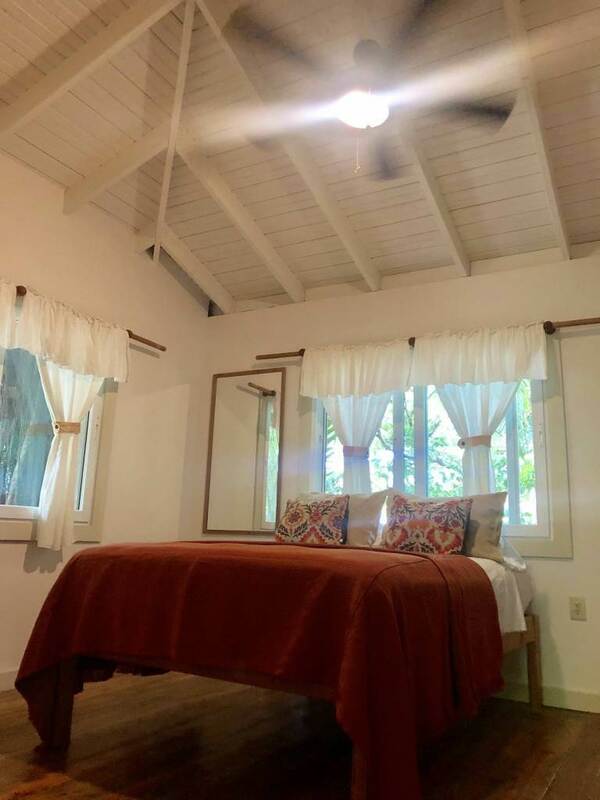 Includes hot water, Wi/-fi, backup generator, and private parking. Breakfast is not included but you get great discounts at the Argentinian Grill which is in the same property. -Prices do not include the 19% Honduran sales tax which will be added.